DEALS On A 2019 Sportage In Corpus Christi! For those of you in the market for a new automobile, consider the 2019 Kia Sportage. If you live in Texas, chances are you find yourself driving from city to city, spending lots of time on the road. Whether you’re attending school functions with your family or having fun nights out with your friends, you’re going to need a reliable and spacious SUV to get you to and from your destination. With the Kia Sportage, offered in three separate trim levels, you’ll find a large variety of amenities, lots of space, and much more! At Mike Shaw Kia, we offer an extensive inventory filled with numerous cars, vans, trucks, and SUVs – including the 2019 Kia Sportage. We understand the importance of offering a large inventory. After all, each driver has specific wants and needs when it comes to selecting a new ride. Take a look at our vehicles on our site today. You can even narrow down your search by using our helpful filters. In order to help you become more acquainted with all the 2019 Kia Sportage has to offer, we’ve taken a more detailed look below. Keep reading to learn more information about this popular SUV! When it comes to the interior of the 2019 Sportage, you’ll find a roomy atmosphere that offers a pleasant experience for each journey. With comfortable seats, a high-tech infotainment system, and easy-to-access entryways, it seems as if the Sportage has it all. Even the 60/40-split folding and reclining back seat is beneficial for when you have extra cargo. In addition to this, you and your passengers will appreciate the heated front seats, panoramic sunroof, leather upholstery, power-adjustable driver’s seat, height-adjustable driver seat, dual-zone automatic climate control, and much more. Drivers have two choices when it comes to the engine of the 2019 Sportage. To begin with, the LX and EX trim levels come with a 2.4-liter four-cylinder engine that produces 181 hp and 175 lb-ft of torque. For the SX Turbo trim level, you receive a turbocharged 2.0-liter four-cylinder engine that delivers 240 hp and 260 lb-ft of torque. 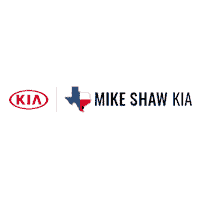 At Mike Shaw Kia we aim to please. In fact, each time you visit us, we have several goals. First of all, we want you to be satisfied with our service. Next, we hope you’ll be comfortable in your ride of choice. Last, but not least, we want you to be happy with our competitive prices and countless specials. Speaking of deals, we have plenty of ways for you to save. There’s only one catch – our special offers are only for a limited time. The prices you see on our site today could be gone tomorrow. Don’t miss out on our incredible deals! You’ll find our dealership conveniently located at 6802 S. Padre Island Dr, Corpus Christi, TX 78412, which means residents of Portland, Kingsville, and Beeville are just a short drive away. During your visit, our friendly and trusted experts will be more than happy to sit down with you to go over your options, fill you in on our deals, and answer your questions. We’ll also show you around and let you take a test drive or two. We look forward to seeing you soon!